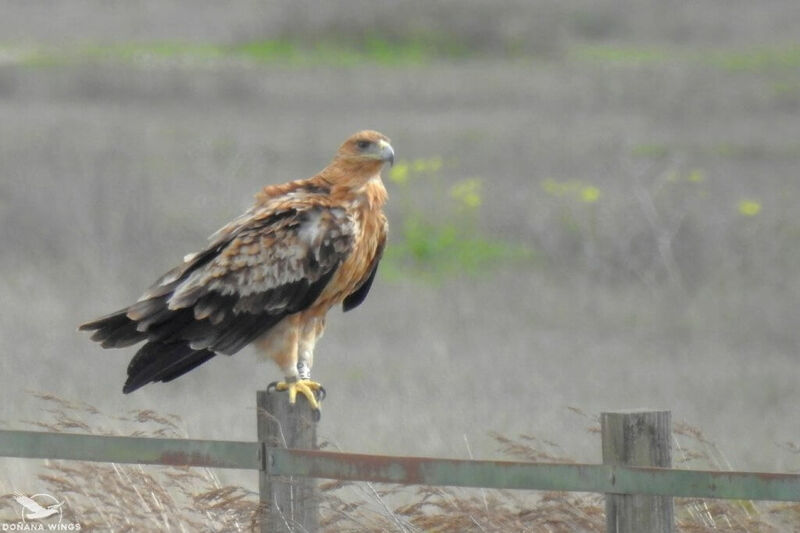 ① Spanish Imperial Eagle: It is one of the stars of Doñana wihtout doubt. In Andalusia we can find it as a breeding bird in 3 different areas: Sierra Morena, Doñana and La Janda. Doñana is the second area in number of pairs, about 10. It is usually easier to observe them inside the National Park and in its immediate surroundings. Apart from the adult pairs, we have a small population of non breading young and immatures. The best area to observe it is Northern Doñana. 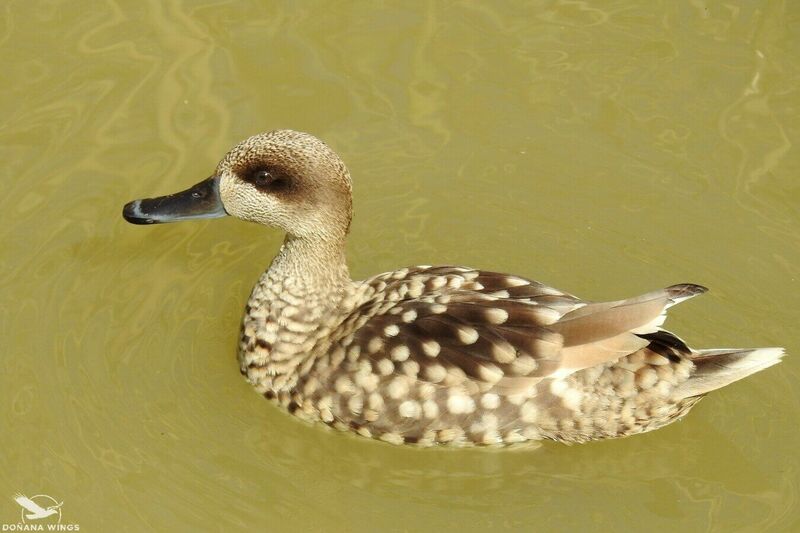 ② Marbled Duck: By the end of the 19th century it was the most common duck in Doñana. However, it is now on the edge of the extinction. Although with great fluctuations, around 30 pairs breed in Doñana every year. Doñana and the wetlands of Alicante represent the only breeding grounds in Spain, the unique country in Western Europe where it breeds. The best area to observe it is Southern Doñana and in second position Northern Doñana. 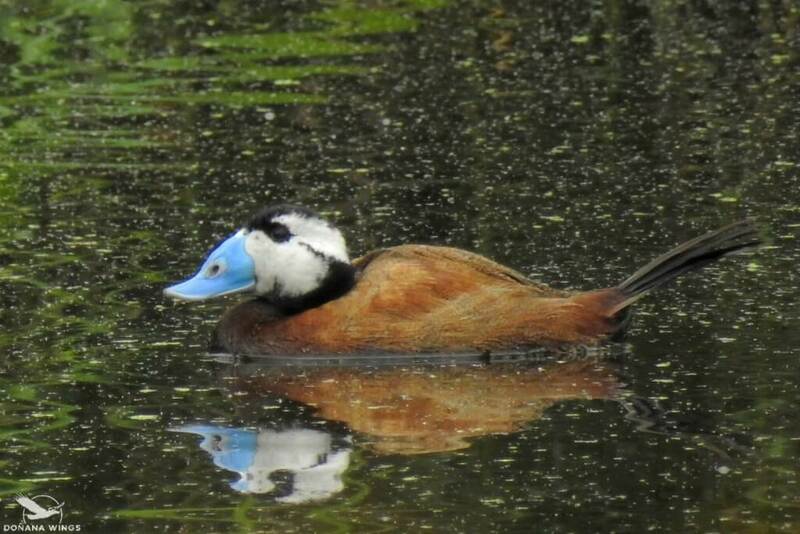 ③ White-headed Duck: This is another seriously threatened duck. The Spanish population reached a minimum of 22 in 1977 (at the Zoñar lagoon, Córdoba). Since then, and thanks to the protective measures adopted, it has started to recover, although it suffers great year-on-year fluctuations. Each year, between 15 and 30 pairs nest in Doñana, being the only regular nesting area Southern Doñana. Occasionally and especially outside the breeding season, it can be observed in other areas of Doñana and in Brazo del Este. 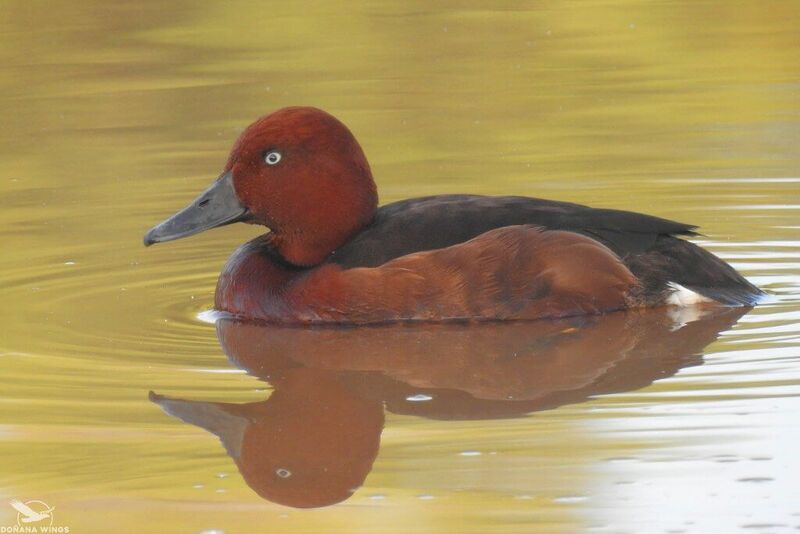 ④ Ferruginous Duck: The largest European populations of this rapidly declining duck are located in Eastern Europe. Their reproduction in Doñana is sporadic, being more frequent in winter when we host small numbers of birds from other European countries. Northern Doñana is the area where it is most likely to be observed. 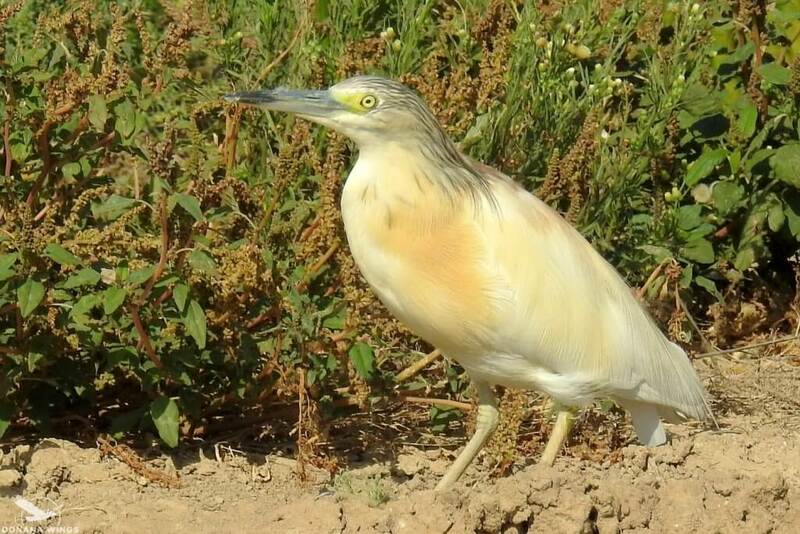 ⑤ Squacco Heron: It is the rarest heron in Doñana (except for the Great Bittern). Although it is widespread throughout sub-Saharan Africa, it is a rare bird in Europe, with its best populations in Eastern Europe. Its population in Doñana fluctuates considerably between years depending on the amount of rainfall, reaching a maximum of around 300 pairs. 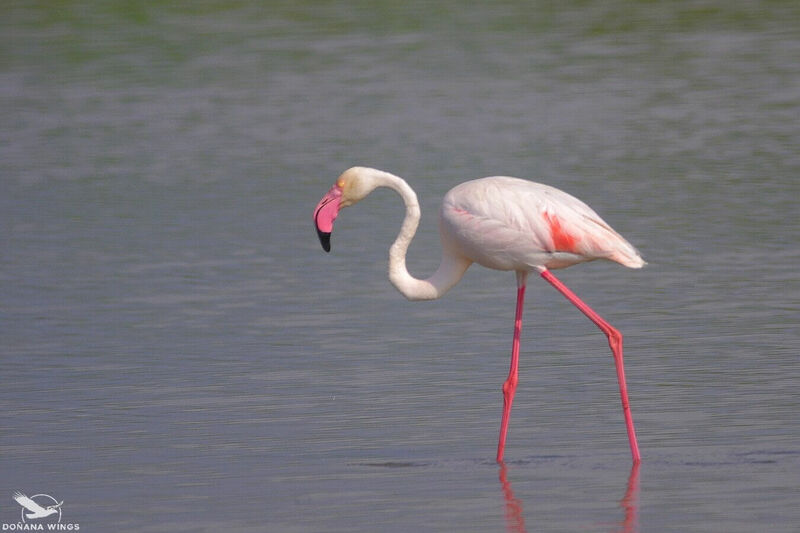 Although it is a summer bird, a few individuals spend the winter in Doñana. Northern Doñana and Brazo del Este are the best routes to observe this beautiful heron. ⑥ Greater Flamingo: The Greater Flamingo breeding in Doñana is only sporadic. Even so, it is possible to observe it in high numbers all year round, since some of the breeding birds in Laguna de Fuente de Piedra (Málaga) come to Doñana to feed. However, the highest concentrations occur in winter, when up to 30,000 birds stay in the area. 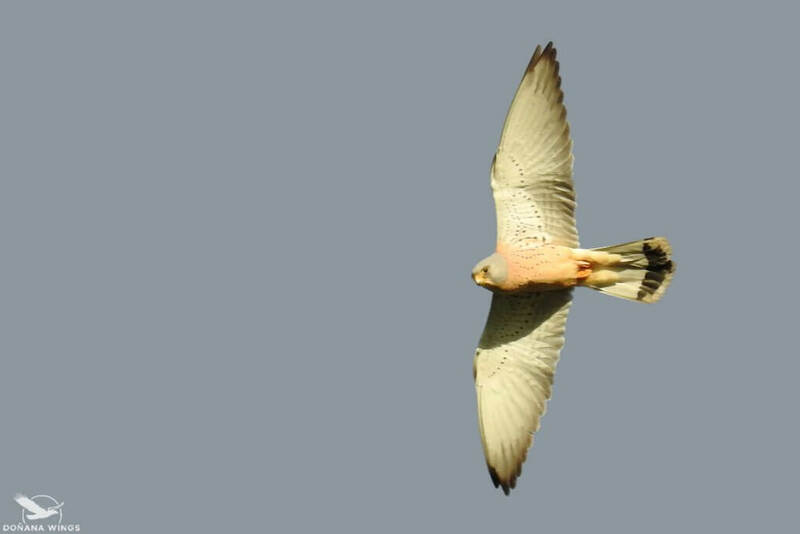 ⑦ Lesser Kestrel: A small falcon distributed throughout southern Europe, Asia and Africa. In Spain, it is a bird associated with the agricultural environments. It has suffered a strong regression in recent years, due to agricultural intensification and the use of chemicals. In Doñana we have some colonies of this raptor. Although it was considered a summer bird, in recent years a good number of them spend the winter also in the area. Northern Doñana is the best route to observe them. ⑧ Rufous-tailed Scrub-robin: Rufous-tailed Scrub-robin is a summer bird in Spain, only present in the South. Although it is practically absent inside the Doñana protected area, it is present in the vineyards around Doñana, where it has one of its best Spanish populations. Its decline in recent decades is alarming, being a highly sensitive species to the use of chemicals in the crops where it lives. Western Doñana, Sounthern Doñana and Brazo del Este are the areas where it is easier to observe. ⑨ Iberian Magpie: In the past it was considered co-specific with the Azure-winged Magpie, but recent studies have shown that it is a different species. 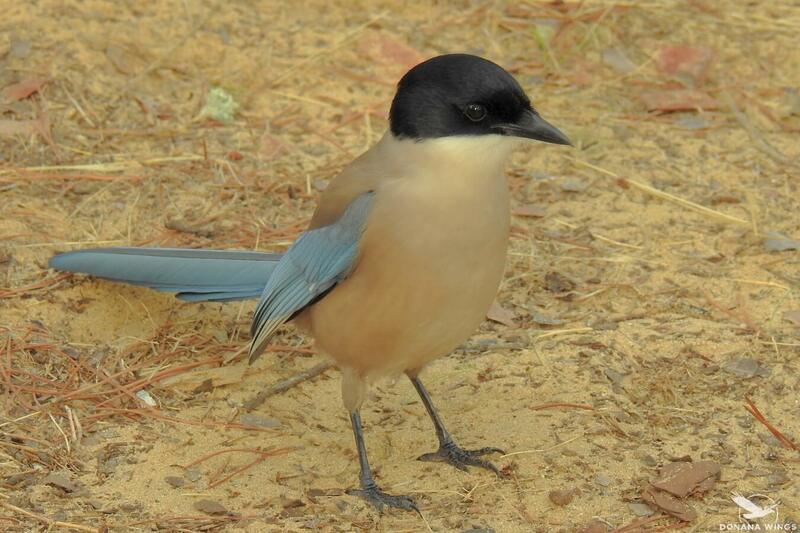 Therefore the Iberian Magpie is found exclusively in Portugal and Spain. 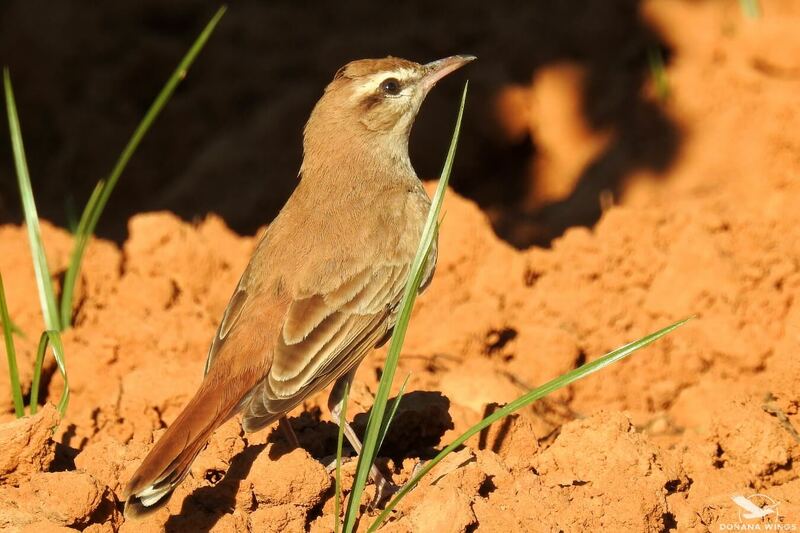 It is a common bird in the forests and crops around Doñana, being Western Doñana a sure choice for their observation. 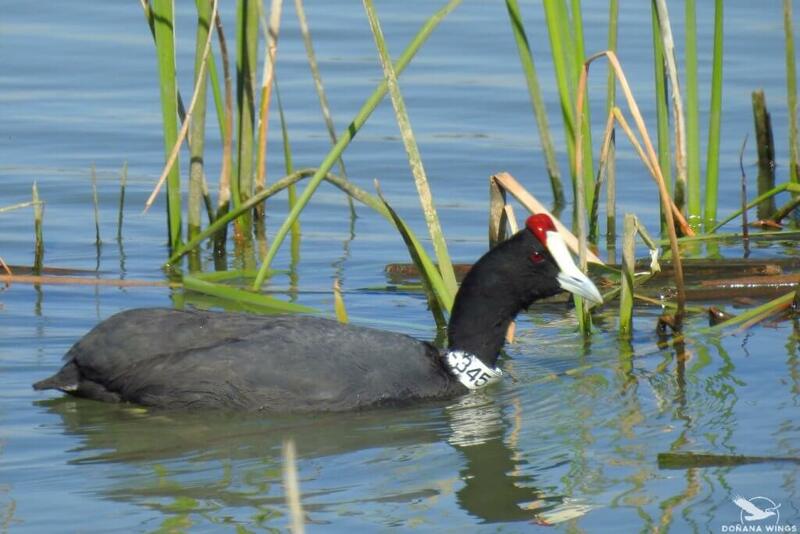 ⑩ Red-knobbed Coot: The Red-knobbed Coot has two distinct populations, one in Southern Africa and the other one in Spain and northern Morocco. In Spain, Andalusia is its main bastion. The number of nesting pairs in Doñana is very small and fluctuating, between practically none and a few dozen, depending mainly on the amount of rainfall. After breeding, dispersive movements from other breeding areas occur, making it more likely to be observed in Doñana.